This season switch out your classic black trousers with a bright bold pant to add a splash of color to your fall/winter wardrobe. 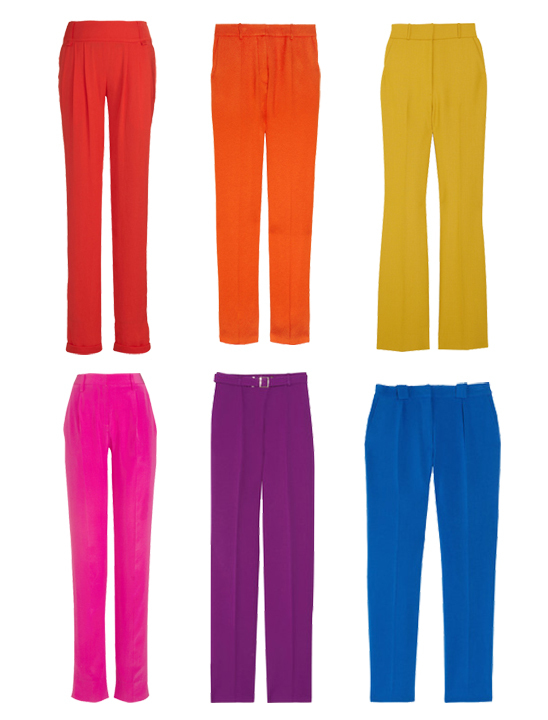 There are so many great trousers out there in vivid hues that will instantly update your look. Pair a bold hue with neutral separates, like a white T-shirt or grey sweater, for an effortlessly chic casual look. For a more formal occasion, incorporate black pieces and polish off the ensemble with bold statement jewelry. Here are some of our top picks for vibrant trousers.